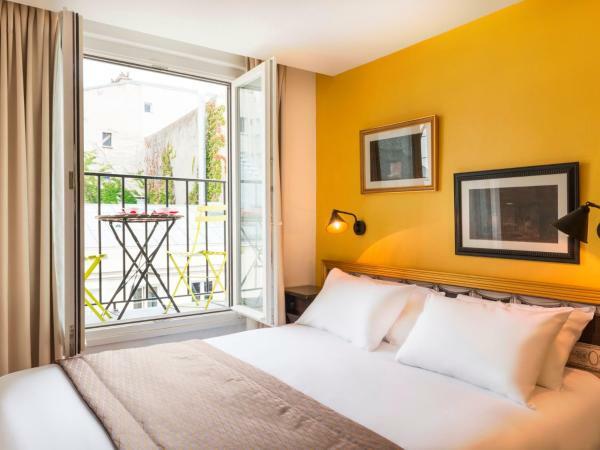 Libertel Montmartre Opéra is located in northern Paris, just 300 metres from the Moulin Rouge and a 15-minute walk from Sacré-Coeur. 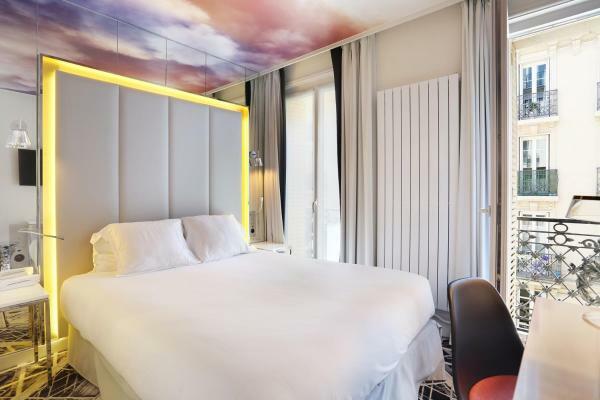 The Nouvel Hotel Eiffel is located next to Volontaires Metro Station and a 20-minute walk from the Eiffel Tower. It offers en suite accommodation with satellite TV. 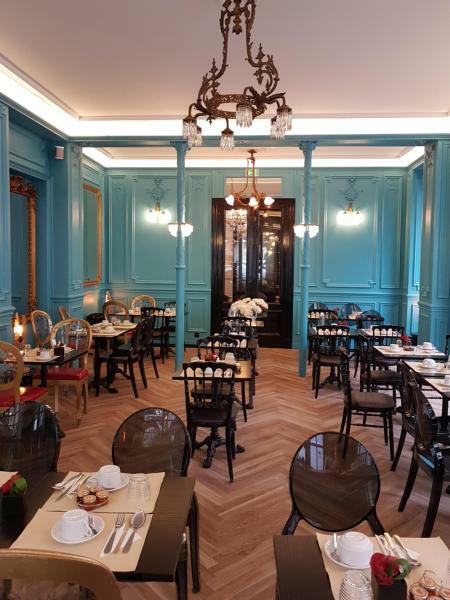 A buffet breakfast is served daily at the Nouvel Hotel Eiffel. 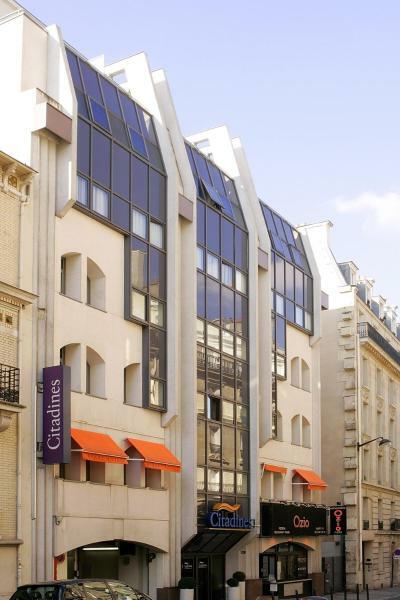 The Citadines Trocadéro Paris is located 500 metres away Trocadéro Metro Station, which leads directly to the Champs-Élysées and Galeries Lafayette department store. It offers fully equipped apartments and free Wi-Fi. 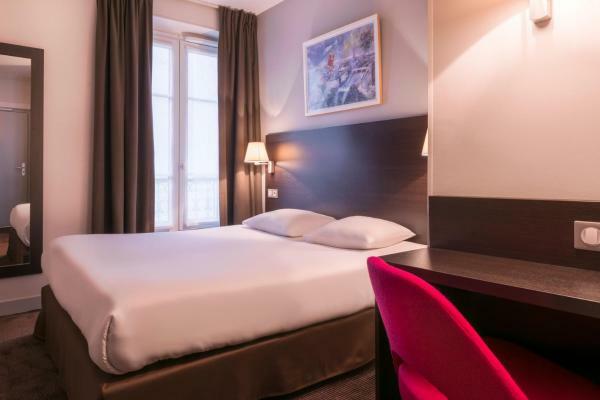 This hotel is located in Paris, close to Les Gobelins, the National History Museum, the Latin Quarter and Rue Mouffetard. It offers calm accommodation with free Wi-Fi access. 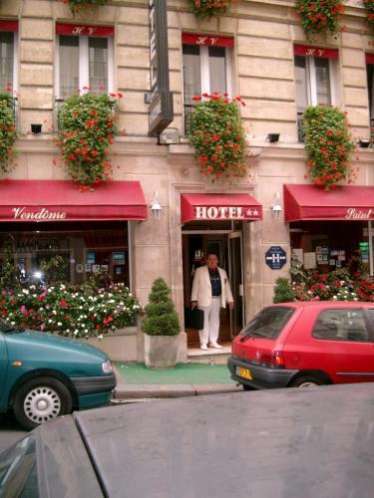 Located on a pedestrian street in the heart of Paris, this hotel is 300 metres from the Pompidou Centre. It features guest rooms with a TV and free Wi-Fi access. 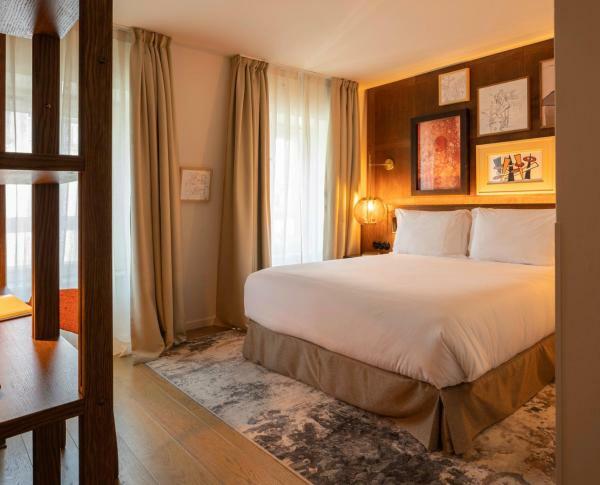 Each of the individually decorated guest rooms features artwork on the wall. 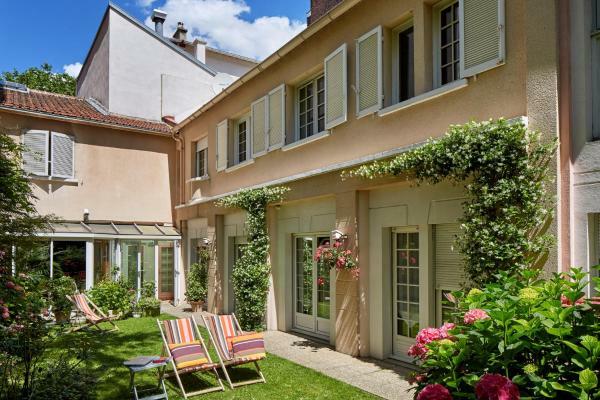 Francois 1er is located on a residential street 200 metres from the Champs Elysées and 550 metres from the Arc de Triomphe. The hotel's cocktail bar features a winter garden. 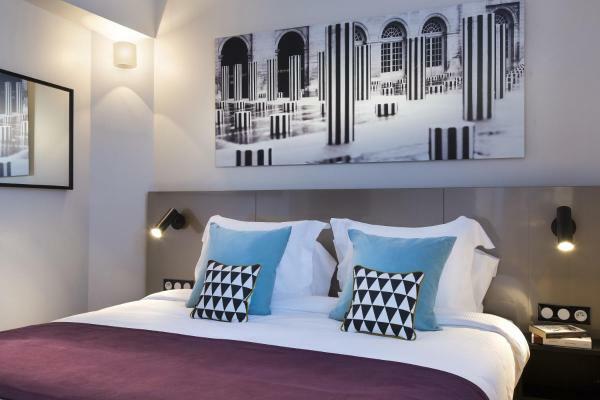 This designer hotel is located in the centre of Paris, 750 metres from Metro Gare du Nord and Gare d’Est. 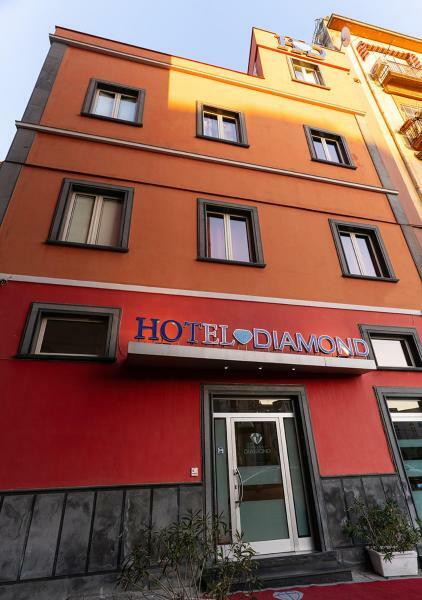 9Hotel offers modern air-conditioned rooms with a flat-screen TV with satellite channels. 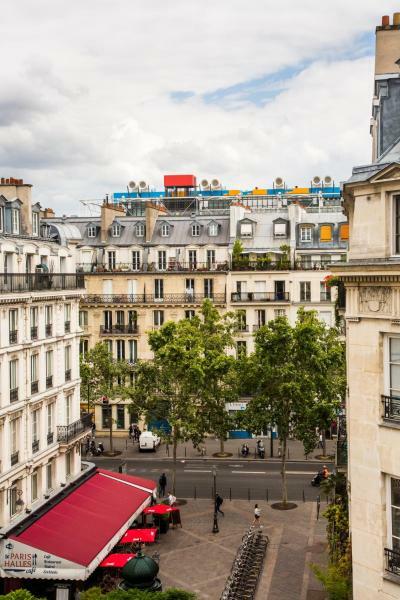 Pulitzer Paris is located in Paris’s 9th district and is a 12-minute walk from Opera Garnier. 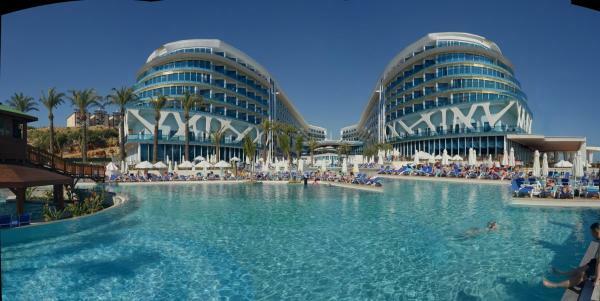 It offers air-conditioned rooms, a bar and free Wi-Fi. 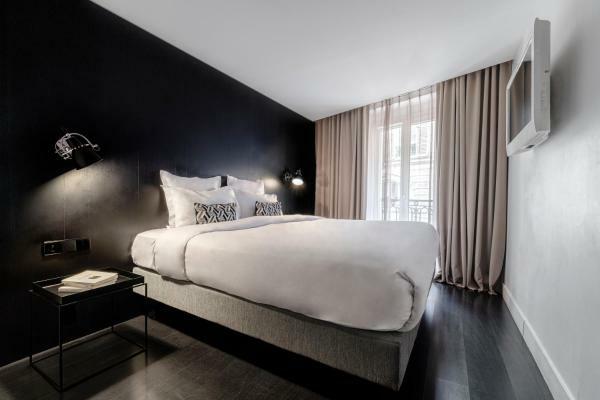 The soundproofed rooms at Pulitzer Paris feature a monochromatic decor. 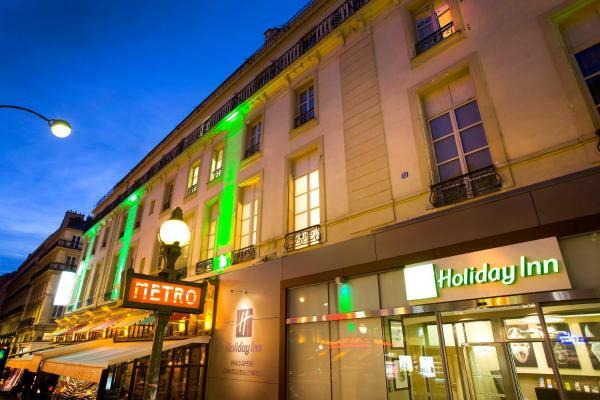 Just 350 metres from Saint-Georges Metro Station, this 4-star hotel is a 10-minute walk from the Sacré Coeur. It offers free Wi-Fi access. An LCD TV with satellite, international channels is offered in the rooms at Hotel Sacha.